In Manhattan, the mixed-use neighborhood of Murray Hill is home to brownstones and office towers, as well as newer luxury apartment buildings. Many Murray Hill residents work in nearby Midtown East and enjoy a quick walk to and from the office. 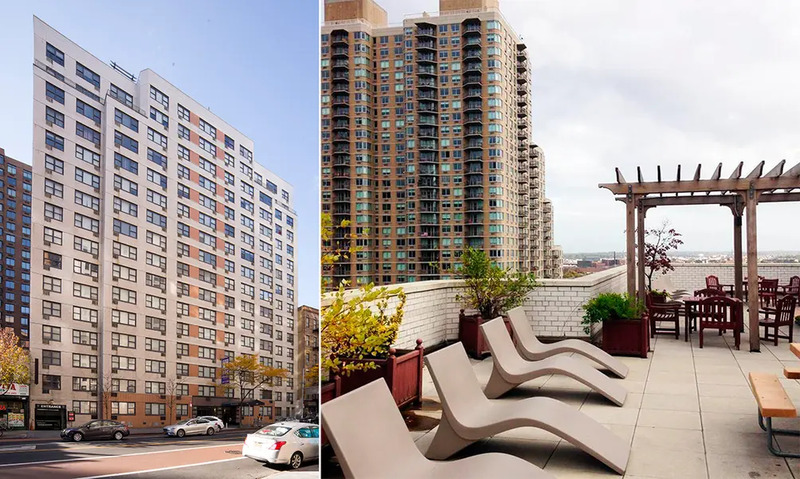 At 340 East 34th Street, between First Avenue and Second Avenue, the 17-story building offers rental homes in a variety of layouts and listings include several high-floor units with great light. Owned and managed by TF Cornerstone, the leasing office has special offers for new renters including 1 full month OP and $1,000 security deposits; listings show studios from $2,640/month and 1 bedrooms from $3,117/month. The postwar building was erected in 1962 and has been refurbished with homes featuring oak strip floors, in-unit climate control, and newly designed kitchens and baths. The handsome building has nearly 200 apartments, and its façade features a beige-brick exterior with a bisecting band that rises from a one-story redbrick base base. It has a canopied entrance with pink granite surrounds leading to a 24-hour attended lobby. The property has a package room, a live-in superintendent, an on-site ATM and parking. There is also a beautifully landscaped roof deck with East River views, a fitness center and newly renovated on-site laundry facilities. The Murray Hill location is an escape from the hustle of midtown, yet offers plenty of nearby dining, entertainment and transit options. 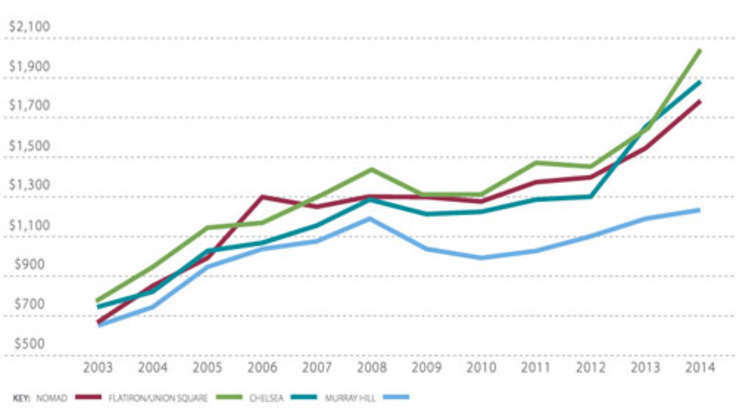 Median prices for current Murray Hill listings stand at $2,765/month for studios and $3,730/month for 1 bedrooms. 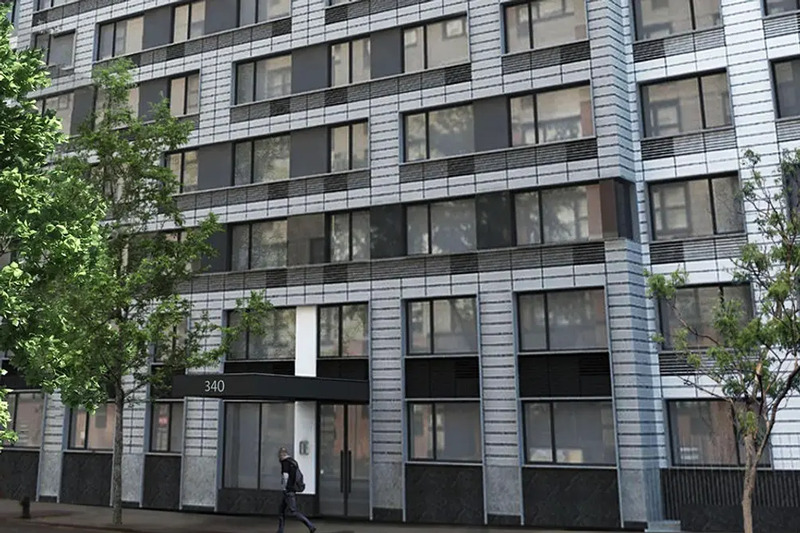 Interested in renting at 340 East 34th Street? 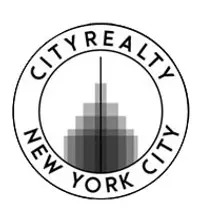 Contact the leasing office at (212) 249-0367 or visit the property's official website.